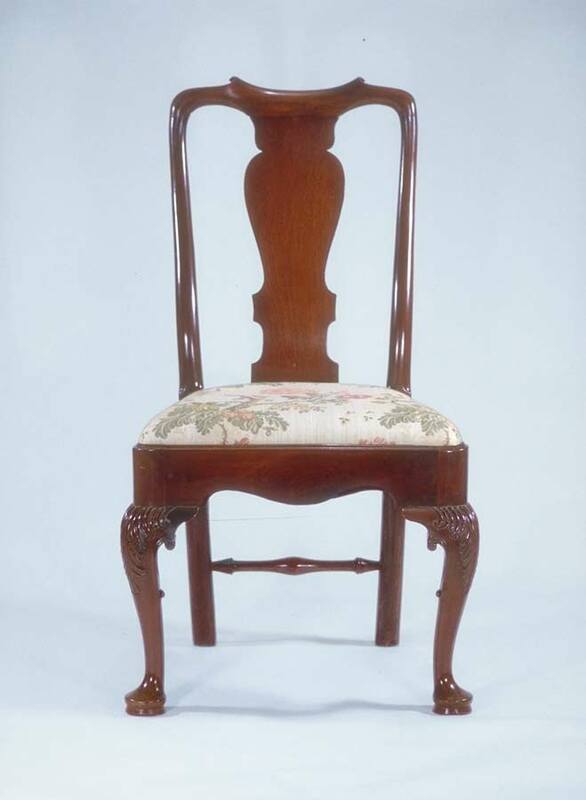 An English George II mahogany side chair with slip seat. Period c.1725-1750. The chair has a repair to rear leg. This example has fine leaf carving and sea scrolls to the knees. It also has a nice parchment scrolled crest rail. The chair is a good example of transition from the Queen Anne to Georgian schools. The stump rear legs were frequently used as models in American chairmaking. The chair is of good size and proportion and is comfortable.